Plants take CO2 from the atmosphere and convert the carbon into their bodies, using energy from the sun. This is photosynthesis. 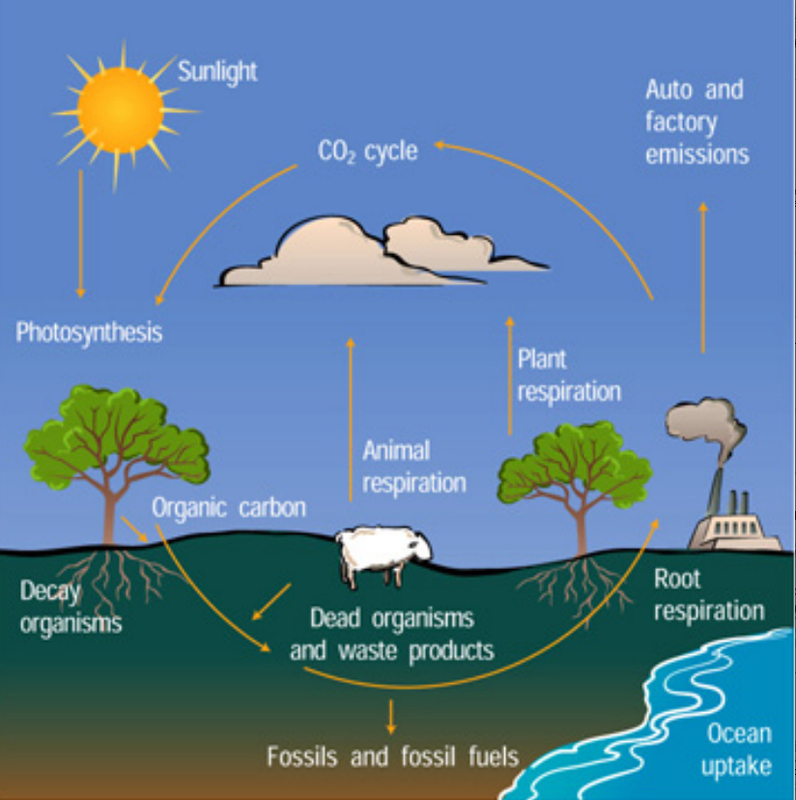 Animals eat plants to harvest the energy from the plant bodies, in the process converting the carbon from the plant bodies back into CO2. This CO2 is breathed out, returning to the atmosphere. The balance between plants and animals has been largely unchanged for hundreds of thousands of years. Further back than that, variation has been broader, but concentrations varied smoothly over time. Untitled from Bill Washabaugh on Vimeo.